Di West has been selected to showcase new work in the upcoming and inaugural Brisbane Sculpture Festival, organised by Sculptors Queensland. His Excellency, the Governor of Queensland, the Honourable Paul de Jersey AC, is opening this special event on Friday 15 May from 5.30 - 7.30pm. The works of over 40 artists will be on display and for sale. 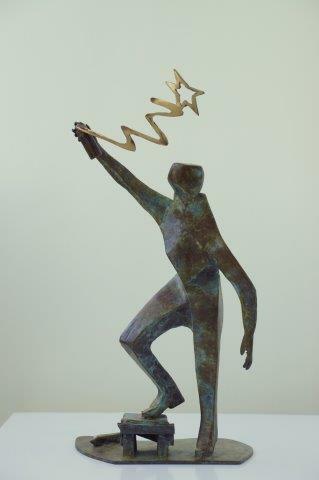 Di will be exhibiting three new works, one of which is titled Star Sign, which is featured on the festival invitation. Brisbane Sculpture Festival is on Saturday 16 and Sunday 17 May from 10am - 4pm at Mt Coot-tha Botanical Gardens Auditorium, Mt Coot-tha, Brisbane.